What’s the difference between destructive vs nondestructive book scanning? What do I need to know about those two methods? 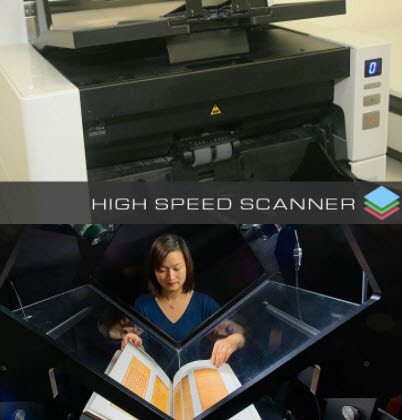 When a book or ledger is a unique item, if it has cultural or heritage value, or if it’s simply the only copy in existence, then our purpose-built book scanners provide a totally non-destructive method of Digital Capture. Having the appropriate Scanner using a V or Flat supportive cradle and Glass Platen ensures there will be no damage to the book throughout the scanning process. It will actually extend the life of the scanned document because you’re individually opening every page and allowing it to breathe for a short period of time. The result is a perfect rendition of the book, ledger, or whatever it may be, without any risk of damage. We had undertaken a project for a government department. They had a complete archive of gazettes from 1904 through to 2000. The collection had many instances of multiple copies and for some, they only had the one copy. Obviously, for the ones with only one copy, we used our book scanners, and where they had multiple copies we were authorized to guillotine the spine of the gazettes and utilize a High-Speed document Scanner. The overall total project cost was reduced because of the efficiencies we could introduce.